Our whole-house energy audit is designed to factor in all of your home's energy usage and show you where you can save on energy consumption and lower your home energy bills. Dr. Energy Saver Of Connecticut is your neighborhood energy saving company offering our services to homeowners all over the "The Constitution State". 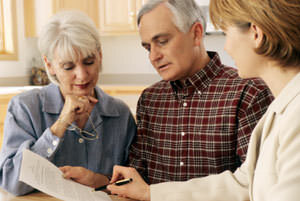 Contact us today to schedule a free home energy audit on your energy systems. One of our certified energy contractors will thoroughly test how your home uses and loses energy and recommend what the most beneficial solution would be for your specific home! 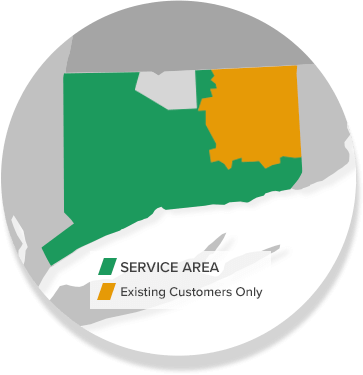 Our service area includes: Stamford, Norwalk, Hartford, New Haven, Danbury, Greenwich, Darien, New Canaan, Westport, West Hartford, Ridgefield, Hamden and cities nearby! Dear Mr. Janesky Following is a brief description of the excellent work your men completed at our home earlier this week. I am writing because your online comments must go to Facebook for publication and I am not a Facebook user. " Dwight and his DR. Enery crew, including Michael and Marcus, did a marvelous job in our home, finishing ahead of schedule. The team was proffesional in everyway. They were polite, friendly, and thorough, covering the floors when necessary and cleaning up at the end of the work day. We recommend them to any homeowner who wishes to make his or her residense more comfortable while reducing the cost of natural gas and electricity. Please share this message with Dwight, Michael and Marcus. Many thanks to a great team!" The Doctor who came out to my Bethel home and did my energy evaluation gave an excellent presentation of the work to be done. The air sealing and insulation done in my home was very thorough and the workmen were also very courteous and cleaned up upon completion. Hello, just letting you know that you have an awesome team... Rudy, Joe, and David are great at what they do. These guys are top notch I am 100% satisfied with the job they did in my home for the past two days these guys worked real hard, thank you guys very much! We are very pleased with the attic insulation job Dr Energy Saver did in our Trumbull home. The representative who came out to and did our energy evaluation explained things very well and the reading materials provided were excellent. Within the eight energy-consumption categories for a typical house, there are numerous factors that affect energy use. For example, water heating expenses depend on the efficiency of the water heater, the types of showerheads in use, pipe insulation, dishwasher and washing machine efficiency and overall hot water demand. Heating and cooling costs depend on many factors as well: insulation levels, air leakage, duct leakage, and HVAC system efficiency, just for starters. Through various tests, inspections and calculations, a complete energy audit evaluates all of the features and conditions that factor in your home's overall energy performance. When Dr. Energy Saver Of Connecticut completes your Home Energy Checkup, you'll see exactly how your energy dollars are being spent and where your best savings opportunities are. Our energy audit rates 10 Energy Vital Signs™ and provides you with a prioritized list of recommended improvements --your master plan for saving energy. We offer a home energy audit in CT including Stamford, Norwalk, Hartford, New Haven, Danbury, Greenwich, Norwalk, Danbury, Stamford, Greenwich, New Haven, Hartford, and all surrounding locations! A clear path to saving energy and money. A Home Energy Checkup from Dr. Energy Saver Of Connecticut provides you with a master plan to improve your home's energy performance, cut your utility bills, and create a healthier, more comfortable home. A Dr. Energy Saver Of Connecticut Home Energy Checkup isn't the cheapest energy audit, but it's definitely the best. Many of the energy audits subsidized by local utilities or state programs are woefully incomplete, even when they include free features like weatherstripping or fluorescent light bulbs. We aren't your typical contractor either, we want to evaluate your entire home to provide only the best solutions. To make sure you do the right things in the right order, invest in Dr. Energy Saver's comprehensive and customized Home Energy Checkup. We take pride in making sure that your home is as energy efficient as possible. What makes us better than the competition is that we take the time to sit with you and better eductate you before any changes are recommended. Whether your home needs spray foam insulation, new windows, or some basic air sealing, you can trust the experts at Dr. Energy Saver Of Connecticut to improve your home's energy efficiency. Contact us today to schedule your home energy audit in Norwalk, Danbury, Stamford, Greenwich, New Haven, Hartford, Bridgeport, Waterbury, New Britain, Bristol, Meriden, Trumbull, Milford, Cheshire, Stratford, Shelton, Glastonbury, Monroe, and the neighboring cities and towns. We are fully trained and experienced as a whole-home energy and home science company.